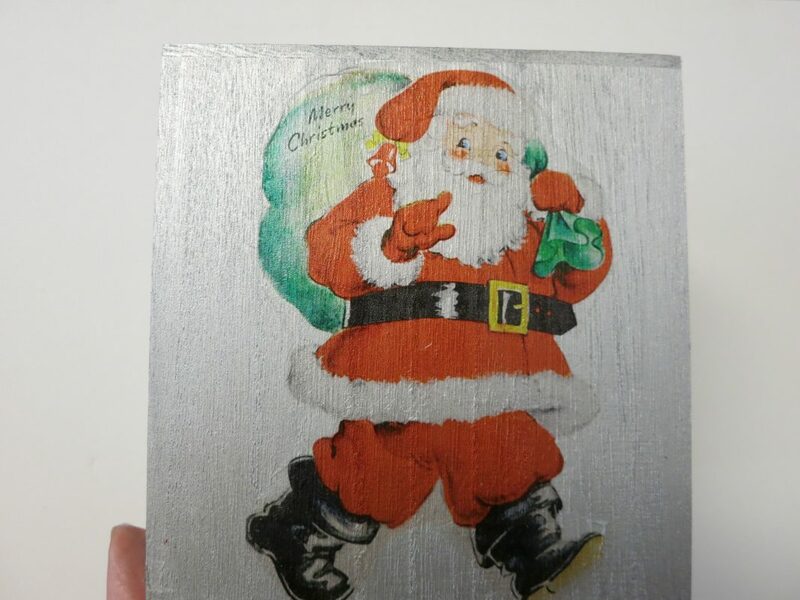 As I shared in my photo to wood transfer tutorial, I enjoy transferring images to other surfaces to create personalized projects. The technique I shared in that tutorial does have a bit of a learning curve, so while you practice to master that technique, here’s a simpler process you can try: use printable tattoo paper to make your own transfer! 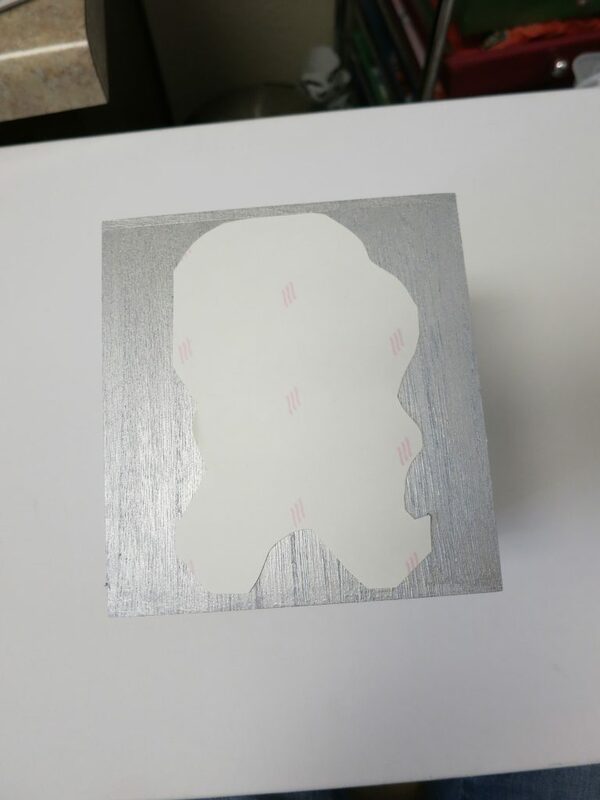 While this product is designed and marketed to be used with the Silhouette cutting machine, you can use the product even if you don’t have a machine. You just need a printer! 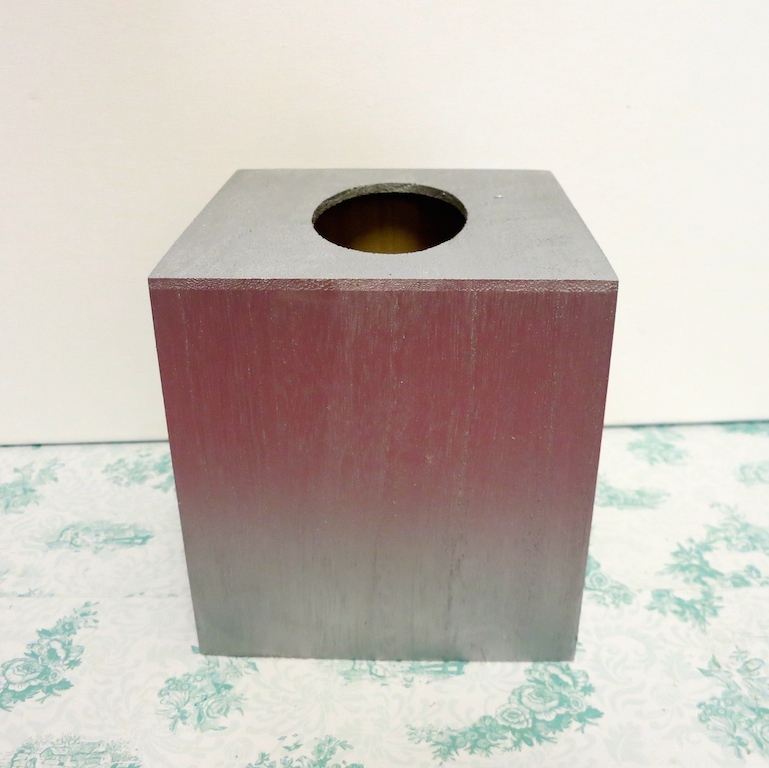 Step one: Paint the box silver. 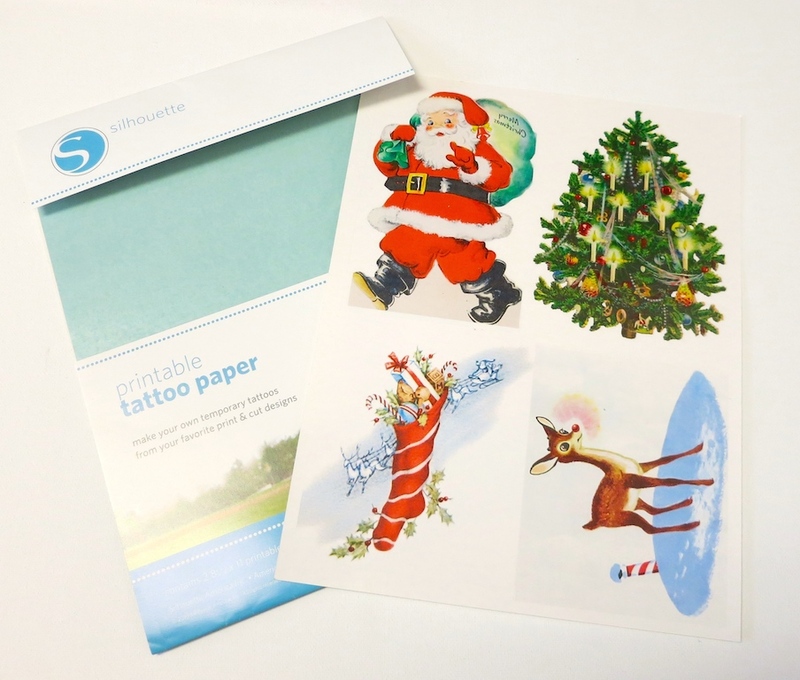 Step two: Print the desired images on the tattoo paper. 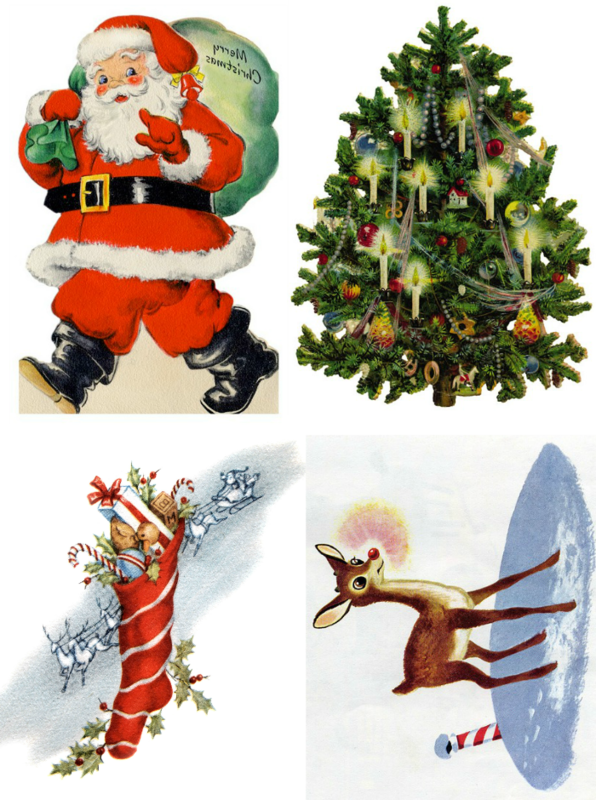 If you like the images I used you can save and print this file. Step four: Peel the plastic sheet off the image, and place the paper image side down on the wood. 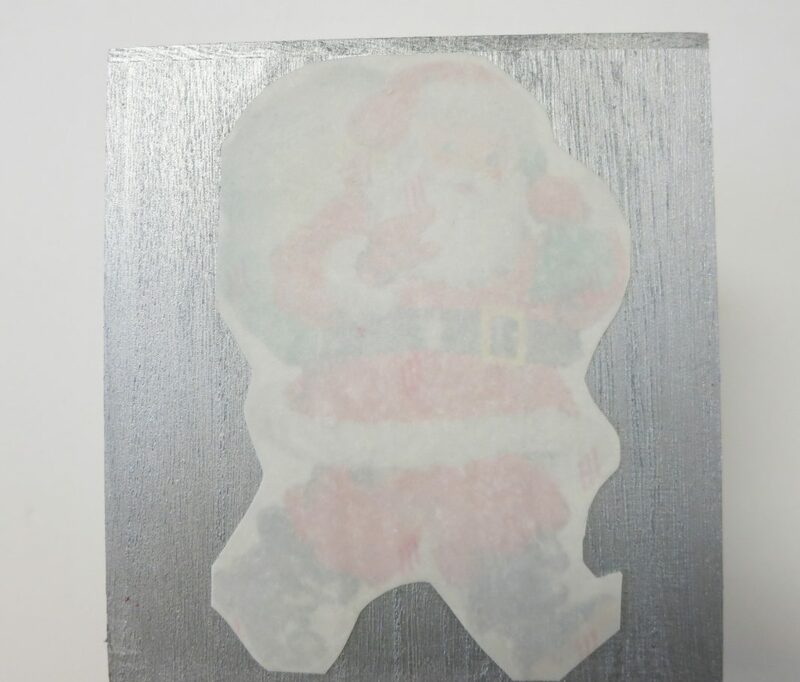 Moisten the paper with a damp towel, and peel back gently to reveal the image. I sealed my images with Krylon’s Triple Thick Clear Glaze spray. This will keep the tattoo images from peeling or flaking off, and it gives the project a nice, polished finished look. 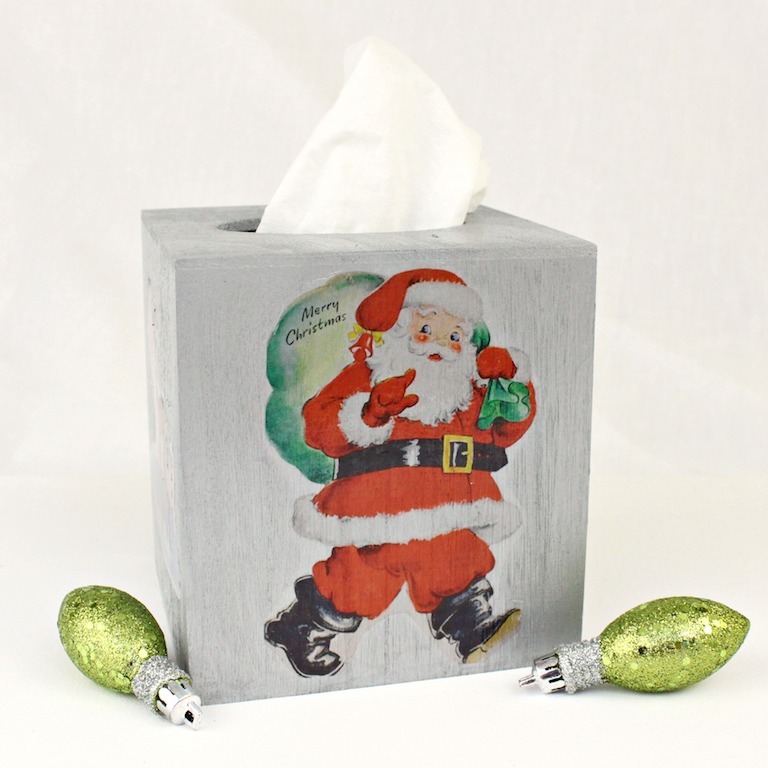 I chose some of my favorite retro Christmas images to decorate this cheery tissue box. 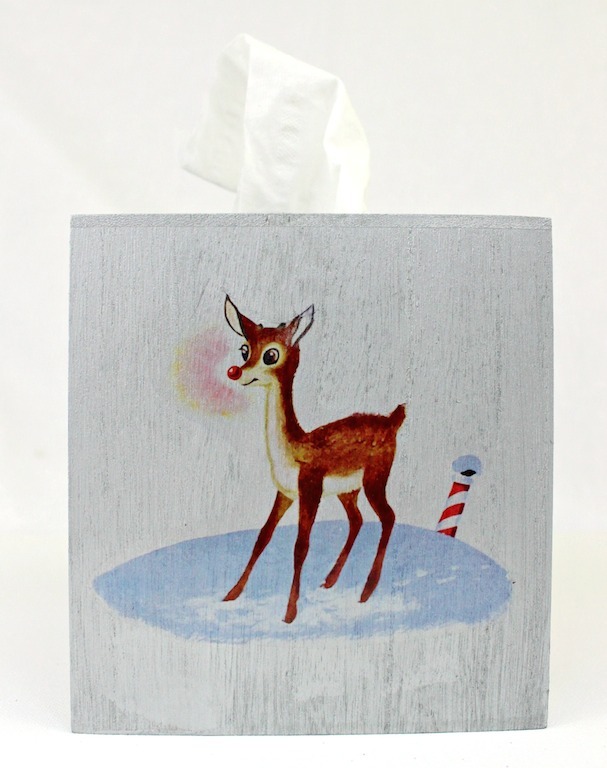 It will make a cute addition to a classroom, desk, or powder room! 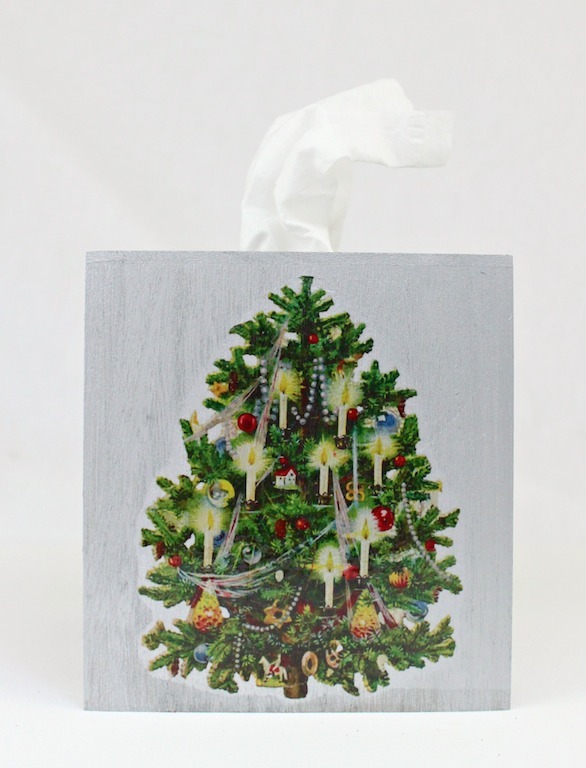 You’re not limited to Christmas, of course! 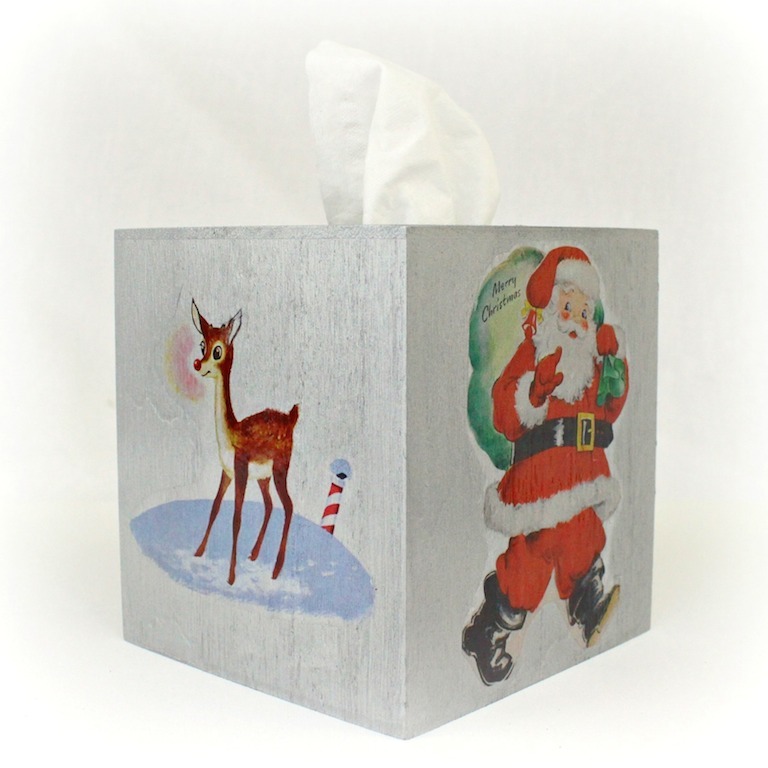 Since the paper is printable you could add absolutely any design or pattern that you like. Have fun crafting and creating! This looks so easy and I love how it turned out! 🙂 I need to try this sometime!